A delegation of government officials from Somaliland, led by the Minister for Foreign and International Relations Mr. Mohamed Bihi Yonis, visited several students from Somaliland studying in Egypt’s capital of Cairo last Friday [25 October 2013]. A high level delegation From Somaliland have visited to Egyptian’s Capital of Cairo on Friday, The delegation was leading Minister for Foreign and International Relations of Somaliland Mr. Mohamed Bihi Yonis among of the delegations are, The Director General of Middle east and Arab affairs of Foreign affairs Mr. Fahmi Qasim and Minister of Education Sam Sam Abdi Adam. According to the Mr Bihi, The visit came after Former Foreign Minister Mohamed Abdullahi Omar visited in Egypt 2010, and discussed with The government of Egypt bilateral relationship between both Sides. The delegation has met Somaliland Community and Students association in Egypt. Speaking on the visit, The Minister of Foreign Affairs said that Egyptian Government has offered an official visit to the Republic of Somaliland, a statement that Somaliland community and students has welcomed gladly. We have discussed issues on Education, Economy and a relationship between Egypt and Somaliland adding that they met ministers of Egyptian government. According to Egyptian source, The Somaliland Foreign Minister and Egyptian Foreign minister Meeting are expected on Monday. Egypt and Somaliland will exchange mutual relationship, the Foreign minister of Somaliland stated. On the education sector, Egypt will provide scholarship to the Somaliland students and Somaliland student will use Somaliland passports. According to the delegation, Egypt will open a consular in Hargaisa, Somaliland Capital. Egyptian Small scale industry will be carried out in Somaliland to improve the economic ties between Somaliland and Egyptian, the delegation has stated. Abdullahi Nour Hassan, a spokesman of Somaliland Community and Mukhtar Ibrahim Somaliland student Chairman has applauded the delegation and organized the meeting on the behalf of Somaliland community in Egypt. 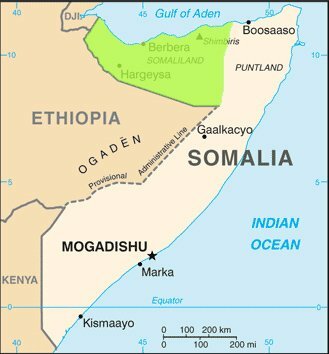 Somaliland is seeking International recognition since 1991 After Somalia Republic collapsed; Somaliland took independence in June 26 1960.